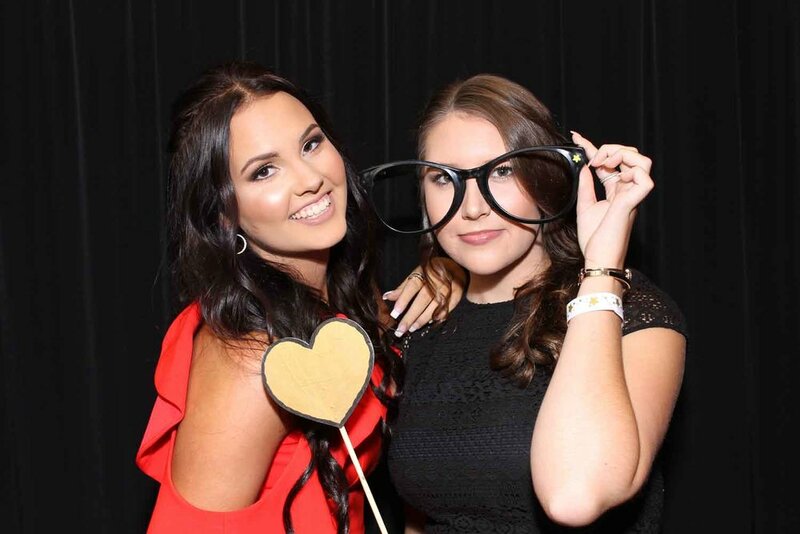 We provide quality & Affordable studio style photo booth Hire for all types of events across Melbourne! We cater for all types of Events including weddings, birthdays, corporate Functions, engagements, school events and more! Contact us today to see how we can help make your event extra memorable! Our photo booths are open style studio booths with an actual photographer taking photos on a DSLR camera. This ensures you get the best quality images and that you have a blast when get your photos taken! Say goodbye to awkward and rushed automatic photo booth images! Take your time and get in just the right pose or pick that perfect prop! Our photo booths have a range of backdrop colours to suit your theme and lots of fun photo booth props to suit your style! Not Just Visual Photobooths take all of our photos on DSLR cameras and you will receive digital copies of every photo taken on the day at the end of your event! Using DSLRs mean you get the highest quality photos to take home! No pixelated automatic webcam photos here! We donate to local Melbourne charities out of the profit of every single Melbourne photo booth we run! We believe in giving you an amazing experience with your photo booth, as well as giving back to the community! Have fun and give back to those in need at the same time! Step 3: Enjoy your photo booth! Have a blast on the day of your big event and stick your photo booth memories on your fridge! “The photos are hilarious and you get to keep the digital files along with the prints in the guest book, AND the guests get their own strip of photos too. Highly recommended. Awesomeness all round." “Not Just Visual Photobooths made our day so special! Justine captured the fun and enjoyment of the day in such aN amazing and personal way!" “My partner is actually wanting to have one of the photos blown up as he says it's the best photo he’s seen of us together. So thank you again and well done!" “I want to sincerely thank the Not Just Visual Photobooth Team for a FANTASTIC service and absolutely quality photoprints. All my guests, family and friends absolutely loved it!" Thank you for your inquiry! We'll be in contact shortly! We respect your privacy and will only email you occasionally.